About | Mist to Open. Mists to Bind. Jan enjoys the light of the Fire and depth of the Water. She wants to frolick and dance in the woods with the spirits. Her practice takes her on wild journeys and she’s just along for the ride. Come, connect, and share experiences with her and the spirits. Rev. Jan Avende is an ADF Priest and belongs to Three Cranes Grove, a local congregation of ADF Druids. 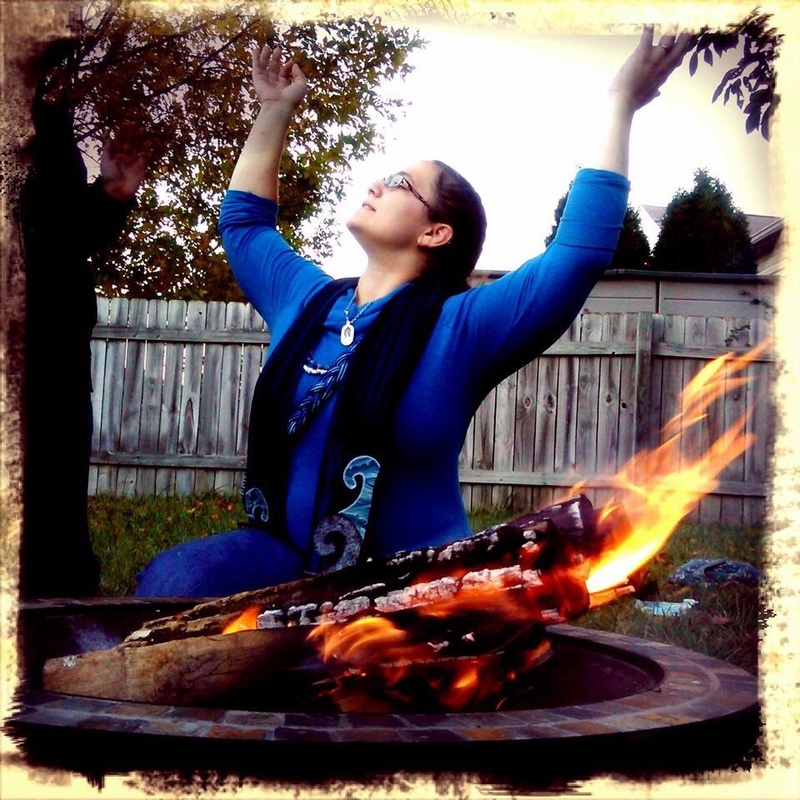 She is currently the Preceptor of the Initiate Path and has a passion for helping folks work through some of the more hands-on work, experiences, and SP requirements that are present in Our Druidry, such as Trance, Magic, and Divination. Jan’s early work as a Hellenic pagan has informed her work within ADF, as she currently blends much of her personal neo-pagan practice with research in Hellenic Reconstructionism, making her hearth practice “ADF Druidry with a flavor.” She has a fascination with finding a place in modern society for documented practices within Ancient Greek society. This involves everything from hearth worship and magical charms to rites of passage and divination. Because the practices of the ancient Greeks is fairly well documented, her adaptations are well researched and backed up with both scholarly evidence and personal experience and experimentation. In her personal practice, she leads ADF-style Full Moon rituals every month that focus on magic and a specific deity. She crafts a new magical working each month specifically for the rite. She enjoys experimenting with different methods of doing magic, and her preferences at this point tend to lean towards spirit arte, talismans, and edible/drinkable consumables. She also has a passion for researching and taking the spells from primary source texts (the Greek Magical Papyri, the Artharvaveda, the Galdrabók, and other such texts) and recreating or using them for inspiration for spells that are able to be performed now. Jan loves meeting new people and seeing the multiple of ways that others are practicing. Feel free to shoot her a line with questions, experiences, and everything in between. Chances are, she’d love to talk to you.